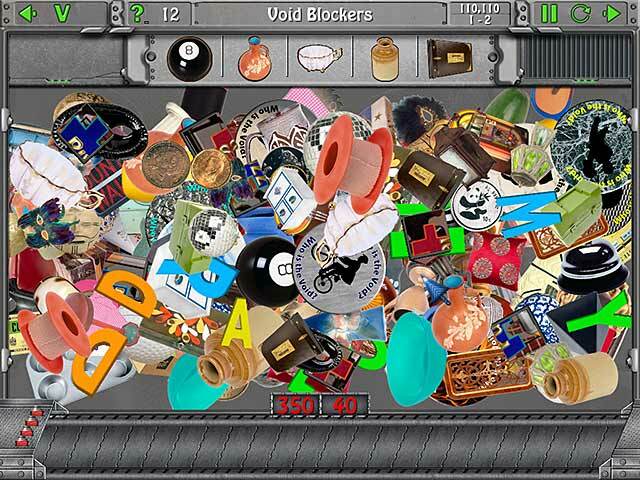 PC Games > Hidden Object Games > Clutter 3: Who is The Void? Clutter 3: Who is The Void? is rated 4.1 out of 5 by 70. Rated 5 out of 5 by andreadepalma from I LOVED the non-story Fresh and fun. There's plenty to challenge here. HEY JOE - I like the quotes. I like the the style. I have't played other Clutter games yet but I definitely plan to now. 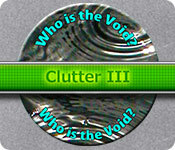 Rated 5 out of 5 by Juniebug40 from clutter 3: who is the void? I had already purchased clutter v. enjoyed that one! So, when I tried clutter 3, it looked like a fun game. It is!! All kinds of challenges! This one had all these vague items that are hard to see & that makes them a big challenge. I don't always like to be under a time gun, so I stopped using the timer. But I can still try to beat the expected time clutter has set & had immense satisfaction in getting closer to it. My eyes aren't as good as I would like them to be, so it's takes me a bit to get to some of the under layers. It has so many puzzle choices. Thanks Joe, for putting this on the market. I'm sure I will get some of your other great games. Keep it up! Rated 5 out of 5 by rheashard2 from A great game for mental exercise I love these types of games. I tend not to do them due to getting frustrated. I found that most tend to be too hard or too easy. These games are a little different. They start off easy and the difficulty increases. There is a lot of variations on basic themes. An example; finding the two halves of an object. Sounds simple? Well the halves of some items look like like they shouldn't make a whole. Then matching color item to its black and white or shadow double is also a bit tricky. A lot of variety of games here too. These games can be played by all ages. A fun way to keep the mind alert. I haven't used it, but I am glad that there is a skip button. Rated 5 out of 5 by cestqui from Simple concepts with great twists One of the best games I've played in ages! It gets its name from the layers of images your mind (and mouse) sort through to pass the levels of the main game. But it's not just a game of find something in the pile. There are great variations: pick two, leave one, mirror images, same object different sizes, color vs black & white and match the halves. The items to be found are often unusual, some are antiques, even arcane but they image quality is very good. Sounds easy but it can be quite challenging. Lots of features can be customized (more than usual). Length of play also very good (it took me many hours to get through without using hints), and the developer says that all but one puzzle type will regenerate randomly, allowing repeated plays with different layouts. Two thumbs way up! Rated 5 out of 5 by MoochersMom from Excellent....Again I very much enjoyed Clutter so was thrilled to find Clutter II. 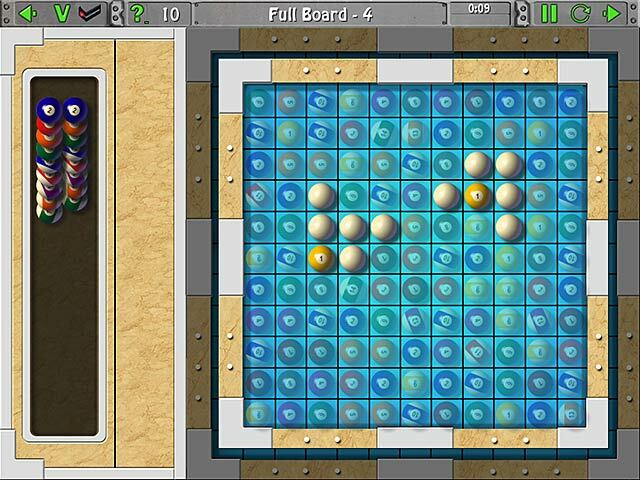 It was much better in that the player is given some options such as to use the timer or not, to play the bonus games or not, plus the ability to skip any of the games (I didn't particularly like playing the 'take two, leave one' games). So, when I found Clutter 3, I jumped on it and was NOT disappointed. Play them all....you'll love them!! Rated 5 out of 5 by RosyinKy from Addictive Tried this game for the first time yesterday and I am so addicted that I can't quit playing. I am going to try the other editions of this game for sure. Rated 5 out of 5 by Jujusdollymall from Almost Perfect! I love most everything about this unusual game. 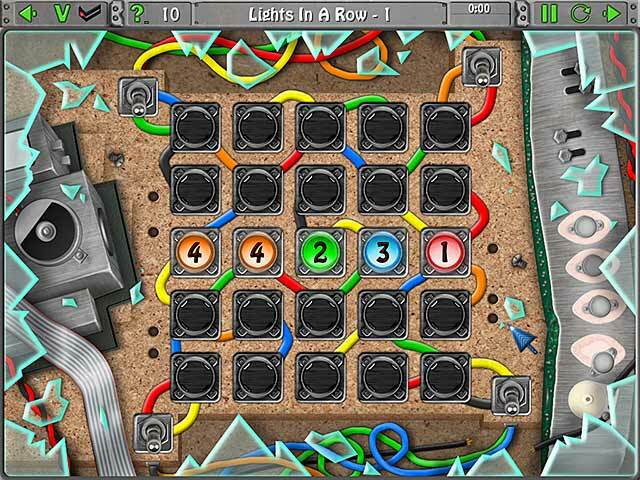 The puzzles are different and challenging and make you concentrate. The lights out could be eliminated in my opinion. The nicest feature that could be added would be a "save" feature so that the puzzle you are working on would save upon closing so you could go back to it. I never have more than a few minutes at the time to play so a save feature like most games have would make it wonderful. Rated 5 out of 5 by VickieLeeNYC from My Favorite Online Game! I have played all three versions of Clutter.... and love, love, love all of them. Waiting for more versions of this fantastic game. Please don't take too long!!! Rated 5 out of 5 by SimplyLucy from Highly Addictive! At first glance at all the clutter you think, 'No! How can I find anything in this crazy game!' Give it a chance because it's so addictive and fun. I lasted about five minutes with the demo, and knew straight off it was my cup of tea! The graphics and sound are so clear and crisp. The colors are bright and intense. There's a little something for everyone to love in this crazy mixed-up jumble HO/Puzzle! Grab a snack or two, 'cause you'll be playing this game till the wee hours of the morning!